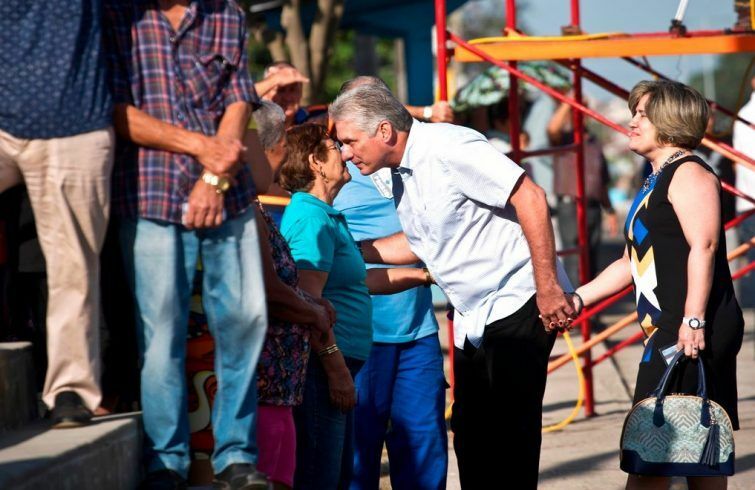 Miguel Díaz-Canel holding hands with his wife Lis Cuesta, talks to voters on March 11, 2018. Photo by Ramón Espinosa / AP. Like many of you, I also spent hours in front of the TV set watching Miguel Díaz-Canel’s election as the new president of our country. 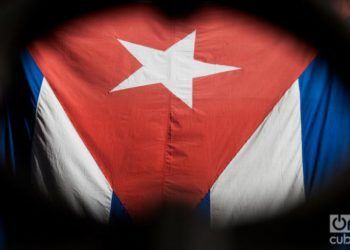 For most of the Cubans, it was undoubtedly a historic moment. Raúl Castro kept his promise. What will happen after this change? I don’t know, we have to wait. According to what all of us were able to hear, for the time being some of the transformations many were expecting will not take place. In fact, policies and procedures that guarantee the continuity and prefer unanimity were ratified. In the international media, an avalanche of analysts predict and recommend. From the end of the dual currency, the approval of small and medium enterprises, to a broader opening for the private sector and foreign investment, just to speak of the economic aspects. I am concerned that solutions are not being presented with the same interest and earlier rather than later to remedy the popular dissatisfaction with the living conditions, the lack of motivation to socially participate, the persistent intention of migrating among persons of all ages, and fundamentally among the young. 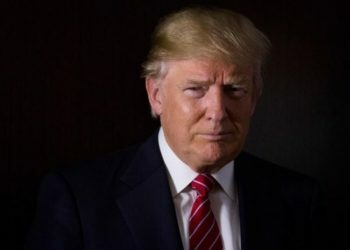 In recent days, while this presidential change was taking place in our country, news continued arriving about Cubans trapped on Central American roads trying to get to the United States despite the fact that the magnet policy – wet foot / dry foot – was canceled more than a year ago by former President Obama. 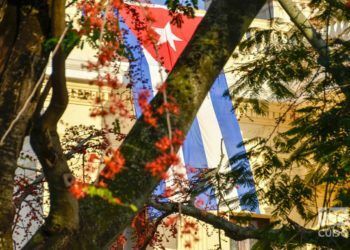 Today’s government must try to amend political inefficiencies and incoherencies that have worn out the hopes of a great deal of the Cuban population. The proofs surpass the propaganda; what was promised still hasn’t gotten to the tables of the Cubans and their day-to-day life. For years we have seen in Cuba counterattack decisions and positions in a war in which at times the threats are more imaginary than real. It is true, the embargo has done a great deal of damage. It is also true that without having to promote a slogan nationalism it is necessary to make an effort to preserve our national identity and the country’s sovereignty. It is necessary to take care of the social achievements reached and also care for the most disfavored to avoid their becoming vulnerable. 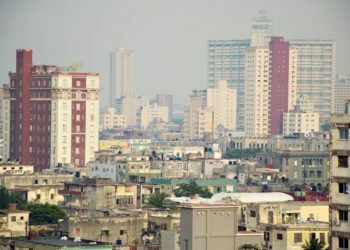 But some of the biggest damages Cuba suffers today don’t only have external causes or influences: they are produced from within, on home ground. As the father of three beautiful daughters, I have put in hours, days, years in preparing them so they can face the world that awaits them. Just as that world is, and not as I want it to be. Parents almost always believe that we know what is best for our children, we warn them about the ugly things, the differences between good and bad…. In some cases, even with the best intentions, we even outline and design for our children the road to follow. My grandfather, an MD, wanted his seven children to be doctors. I’m a lawyer, but even so I made an effort so that my three daughters study law. Only one of them paid attention to me. My grandfather was neither able to make his children wear white coats, but not because of that did he stop trusting his children. My uncles and my mother found happiness and prosperity in music and culture and they made our family proud. As a son of the Revolution – he did not form part of the initial triumph, or of its first dreams and ideals, but rather he was a fruit of its consequences -, Díaz-Canel can and should – I affirm this will all respect – be the owner of his decisions and outline his own path, with the same determination and daring with which Fidel and Raúl did it. And just as the children do, being different, experimenting, discovering for themselves despite our advice and examples; even though they not always make out their horizons, conscious or not of it, when they are on top of our shoulders. 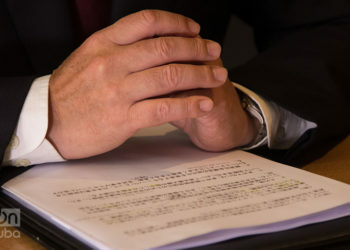 Many of us expect that Díaz-Canel can start clearing the aspects of the paternalist behavior of the State and the government; that he put the obese government bureaucracy on a diet; that he devote all his effort to the legal reorganization the country needs and that must start with the reforms to the Magna Carta and reach the approval of specific long-awaited laws; that he strives to decrease the skepticism among Cubans – on the island and abroad – after a decade of changes that did not achieve the necessary and expected success. All this for the confidence to be renewed and spread reciprocally, from the government to people and from people to the government. 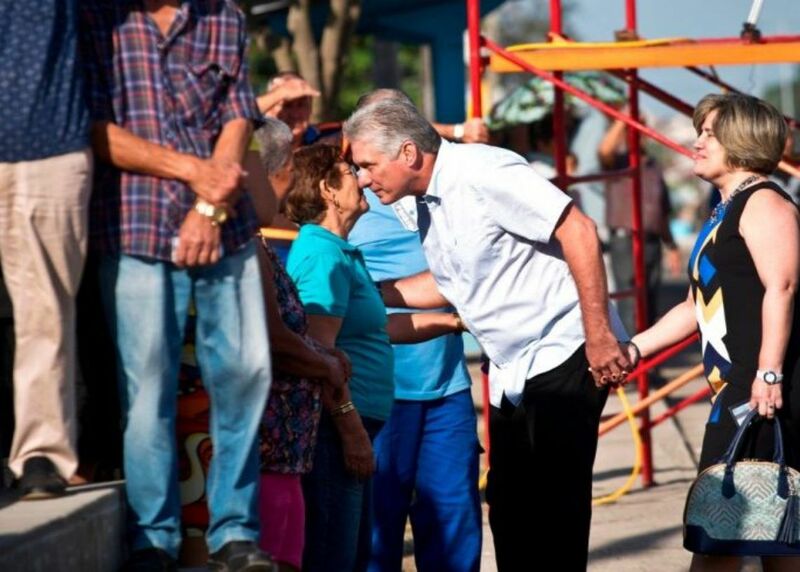 The principal aim in the future that has just begun, and which will not depend only on Miguel Díaz-Canel, should not be the cult to an ideology, but rather in any case to its renovation, through the country’s integration and reconstruction, in its material and spiritual fabric. It’s possible that the fundamental ideas are as valid today as before, but the words and ways of expressing them no longer provoke the same conviction. On the other hand, the new Cuban president must be more inclusive. He did not get to power by paying attention, listening and governing only the stalwarts and followers, those he recognizes and even those who elected him directly and indirectly. Díaz-Canel is also my president despite the fact that I do not live in Cuba, as he is of those who criticize him and those who disagree with him; of the person who founded a private restaurant with furniture and decorations allegorical to the country before 1959, or of the one who was able to start up a small business for the repair of cell phones. 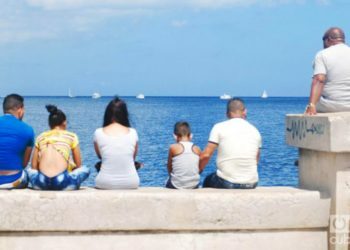 Díaz-Canel must seek at all costs family reconciliation, the eradication of the diaspora’s fear of returning to their country; a fear that persists and has been cultivated and fertilized with all kinds of prejudices among those of us who live abroad as well as those who reside on the island. 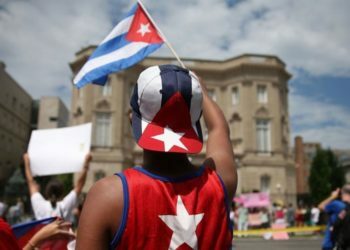 The mistaken, obsolete and inhuman policy of the United States toward Cuba is not an illusion, and it has roots in the history books and in our recent memory. 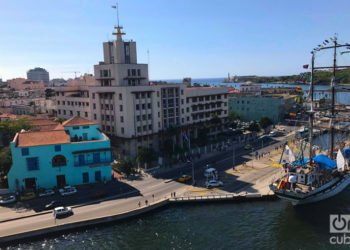 However, that should not continue being the principal excuse to continue postponing an agenda focused on approaching Cuba to the Cubans, wherever they are. Let’s hope we have started a new time. Can We Learn from the Japanese? If I was to summarize your message, it’s would be to give Diaz-Canel a chance. From a far, I don’t understand the Cuban government enough to openly speak to how he can put his imprint on a new direction. I do say, that those committed to “the revolution”, must see it in it’s basic form or definition as “change”, and push forward knowing well that what really secures one’s sovereignty, is the belief of it’s citizens in the promise of the nation. So may the new Council of State of Cuba, be successful at capturing the imagination of his people and bring forth a new introduction of the Cuban personality to the world. Viva de Cuba!